The author, Jec Aristotle Ballou, has studied classical dressage all her life, most recently, she spent time in Melbourne, Australia, with Manolo Mendez, original head rider of the Royal School of Equestrian Arts in Spain. She has trained and competed through the FEI levels in dressage but has also competed in long distance trail riding, Ride & Tie, breed shows, and almost everything in between. Over the past two decades, trick training for horses has become immensely popular. Groundwork and trick training specialist Sigrid Schöpe has found great success teaching her own horses tricks, which they enjoy doing as part of their regular groundwork and under-saddle schooling routines. Here she shares her techniques, using positive, conscientious methods that are easy to follow–and a whole lot of fun! By following the simple steps and clear colour photos, readers will find their horses will learn over 20 of the world’s most popular tricks in no time, including: bowing, kneeling, lying down, sitting, rearing on command, performing the Spanish walk, standing on a pedestal, taking a blanket off, crossing their legs, carrying a lead rope and many more. Mark Rashid is an internationally acclaimed horse trainer known for his ability to understand the horse’s point of view and solve difficult problems with communication rather than force. What the reader learns by example is how to develop feel, relaxation, connection, and softness in both horse and rider. The methods and techniques Mark demonstrated have been gleaned from decades of work with horses and horse people, as well as while he trained with world-class martial artists whose lives have been dedicated to developing softness and connection with a partner through feel. Are you ready to build a stronger partnership with your horse? Hoping to achieve a remarkable softness from the ground before you swing into the saddle? Starting a youngster or working to overcome training and behavioural problems in an older mount? 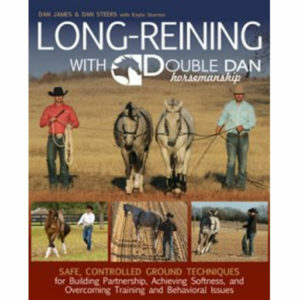 Bring long-reining into your barn with these 20 easy-to-understand lessons, explained step-by-step with full-colour photographs. Olympic gold-medal-winner Ingrid Klimke was born under a bright star when it came to fulfilling dreams of equestrian greatness. Her father, Reiner Klimke, was an Olympic rider himself, and he instilled his principles of training and riding with the good of the horse in mind in his daughter at a young age. 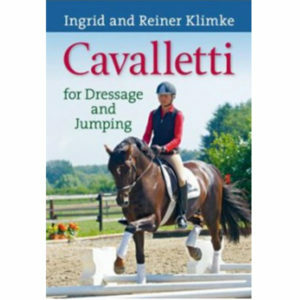 Ingrid has furthered her father’s esteemed legacy, modernizing two of the classic works by her father—the bestselling Basic Training of the Young Horse and Cavalletti–and tirelessly championing a balanced, fair, and caring system of training the horse that ensures his physical and mental well-being even while preparing him for the very top levels of international competition. Groundwork – Ridden Exercises – Real Life Scenarios. Good horsemanship as easy as 1-2-3! The 3-Minute Secret: Achieve more, Get better results, In less time. Break down complex problems into smaller, easier solutions. This work contains 101 jumping exercises every horse and rider should know from the simplest skills to the most complex techniques. It starts with basic work over and around poles to help horse and rider establish and maintain a dialogue with each other. Exercises progress in complexity teaching the rider correct technique balance and confidence. 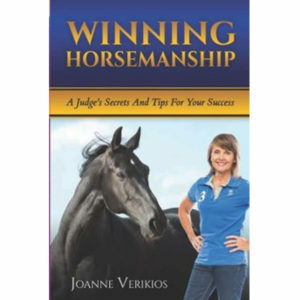 It provides fresh perspectives on how to achieve and hold on to the competitive edge and includes guest exercises by leading equestrians. .Author Wendy Murdoch, an internationally recognized equestrian author, instructor and clinician for over 23 years, teaches her students how to do what great riders do naturally. Wendy’s desire to understand the function of both horse and human and love of teaching capitalizes on the most current learning theories in order show riders how to exceed their own expectations. Each horse, no matter the riding discipline, benefits from working with cavalletti. Dressage and eventing rider extraordinaire Ingrid Klimke explains how training with ground poles and cavalletti is one of her secrets of success. Cavalletti training improves the gaits; promotes rhythm, suppleness, and cadence; and increases the fitness of your horse. Each horse, no matter the riding discipline, benefits from working with cavalletti. Dressage and eventing rider extraordinaire Ingrid Klimke explains how training with ground poles and cavalletti is one of her secrets of success. Bringing rider and horse together so they can move as one is a complex equation. Now, sports physiologist and movement expert Eckart Meyners has combined efforts with German Riding School Head Hannes Muller and St. Georg editor Kerstin Niemann to provide a book with the answers. Featuring 2014 World Equestrian Games gold and silver medal winning rider Helen Langehanenberg and a depth of detail not yet found in other books on riding theory and biomechanics make Rider+Horse=1 necessary reading for all those who aspire to a true understanding of movement, function, and their impact on performance. Karin Blignault has combined theory and experimentation to develop a system of training (and teaching) that is straightforward, fast and brings real results. 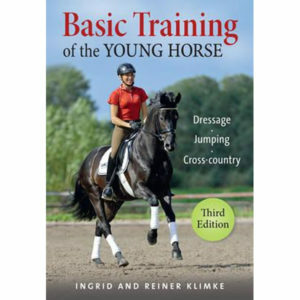 The methods described in this book teach riders to achieve rhythm, balance, suppleness and the round flexor frame in their horses – and quickly. Most riding books, including those by classical masters, focus on ‘what to do’ rather than ‘how to do’. This book is different. For example, Karin explains how you can apply your body in riding, rather than focusing primarily on your body position, and thus your riding position automatically becomes correct. Being able to stop, go and turn is fundamental for all equestrian riders. Author Claire Lilley has written several books including 200+ School Exercises with Poles and the Scales of Training Workbook for Dressage & Jumping. The equestrian sport of eventing has changed drastically over the past two decades, and it has done so in every way—from its general format, to the importance given each individual phase, to the way cross-country obstacles are built and courses are planned. 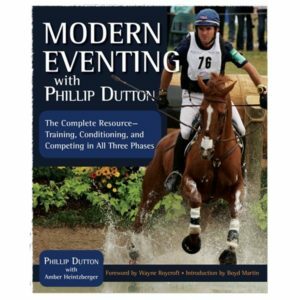 Author Phillip Dutton’s fabulously illustrated book covers training, conditioning, and competing in all three phases. In addition, it includes full chapters describing the special farriery, veterinary, and grooming needs of the event horse, with tips and advice from the top experts who make up Phillip’s own international eventing team, and information on how technology can be used to improve performance.